What made you want to start your own blog? Love it by the way! Thank you! In my second year at uni we had to do a project based on starting a blog to progress our work. I really liked the idea so i thought i'd start my own personal one. I was living with 4 other girls at the time which wasn't the best and i felt very uncomfortable. Having my blog was a place to escape to and chat to people with the same interests. I guess it was a kind of escape. 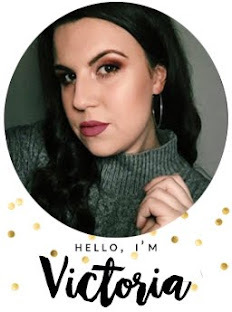 Any tips for new bloggers? It can be a bit scary when you don't have a lot of subscribers and feel like your talking to yourself. I still feel like I'm talking to myself now! As long as you enjoy what you're doing then that's all that matters. I think if you make an effort to talk to people, be as original as you can and let your personality shine through I think you're on the right track. What do you think the key is to increasing blog traffic and what are your tips for this? I think if you have an interesting blog the traffic will come. But social networks are always good for traffic too! Use Facebook, Twitter, Tumblr, Lookbook etc etc just post as much as you can, wherever you can. But like I said, if people like your blog they'll come back, unfortunately there's not really anything else you can do. I really want to start doing pictures outside but i feel really self conscious. Do you have any advice? I don't know if I'm the best person to ask this because to be honest i do sometimes feel a little silly. I only do them outside my house so i know i shouldn't, it's not like i do them in the city street or a park. But i have got a lot better and i think you just have to get it in to your head that you're only taking a picture. These people don't know you, nor do they know what it's for. I'd give it a go though because doing them outside was the best thing i ever did! Now I've got to get the courage to go in to a real~ public place. Who takes your outfit pictures or do you use a tripod? I used to take them with a tripod when I lived in my old place, but thankfully my boyfriend now does them for me which I'm very appreciative of. What camera and lens do you use for your photos? For outfit pics my boyfriend uses his Canon 60d. For all other blog photos I use my own camera which is a Canon 1000d. The lens we use ranges from 50-80mm, and it all depends on a matter of different things. What programmes do you use to edit and do your pictures? I used to use Photoshop CS3 but I now use CS5. Did you design your blog layout on your own? If so where did you learn? This current layout is a blogger layout which has just been tweaked. I must admit I'm useless with this HTML stuff but luckily I know a very lovely lady called Lauren who helps me out with all things layout related and she does it for me. I did design it myself though, and the one before this. I usually know what I want, I just can't work out how to do it by myself. Where can I get the font you've used in your title? I downloaded it from a free fonts website. Just Google 'free fonts' and a whole load will come up. What type of posts to you like to do most? I personally love your Ebay ones! Thank you! They're actually my favourite ones to do. A lot of time goes in to them, usually a couple of hours but I really do enjoy it. I know it helps a lot of people out too so that always encourages me to choose good items from week to week. Out of all online retailers - what are your top 5 go to? eBay, Asos, Misguided, Motel Rocks and BooHoo. If you have any more questions please feel free to ask away on here or Formspring and I'll add them to this post. Thanks again to everyone who supports my blog, big love to you all! Happy Birthday to your blog, great questions! Awwww happy blog birthday, it's a super special blog too so keep it up. 2 years is amazing, happy blog birthday haha! Brill questions and answers too, very interesting and informative! Happy 2nd Blog Birthday! Great post, keep up the great blogging! 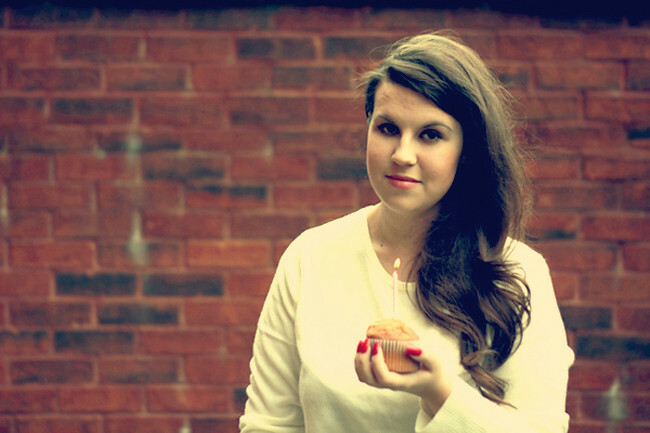 Happy blog birthday :) I need the confidence to take pictures outside more definitely, if someone walks past I pretend Im doing something else aha. As a new blogger, I gotta thank you for this :) great and honest advice! can i have the cupcake?